While canning fruit producers were struggling to stay afloat a few years ago, prospects are again looking promising. Wiehahn Victor, CEO of the Canning Fruit Producers’ Association, spoke to Glenneis Kriel about the opportunities facing the industry. What was the 2015/2016 canning fruit season like? High temperatures and the drought has made this a challenging season. Bulida apricot production for the canning market declined from 20 164t last season to 17 368t this season, while cling peach production increased from 97 976t to 105 614t. Bon Chrétien pear production declined from 47 059t to 44 261t . It’s still very early to say, but it seems that farm-gate prices might be 13% to 23% higher than last season, which should help compensate for the lower volumes produced. A few years ago, the industry went through an arduous period, with producers dumping 5 000t of apricots and uprooting trees because production was no longer economically viable. Has this picture changed? Yes. Prices for canning fruit have greatly recovered because of the weak rand and an improved balance between supply and demand on the international market. While farmers treated Bulida apricots like weeds a few years ago, they are now starting to plant again. There is even a canning factory that supplies producers with apricot plant material. However, there is still room for improvement. Production must be seen in comparison with other commodities; at only R2 000/t to R3 000/t for apricots, farmers can make better money with other commodities. 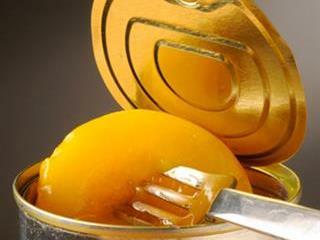 South Africa is the leading global apricot exporter, which means that we have a little influence over prices. However, due to high production and processing costs, South Africa’s consumers will have to pay more for processed apricots to keep the industry viable. Could higher profitability result in a flooded market? There is that danger. Higher earnings would stimulate production expansion, and producers have to guard against this. The apricot market is highly sensitive. With an oversupply of 5 000t, the market will crash. If there’s an undersupply, prices will soar sky-high and render the product unaffordable. Currently, what are the industry’s greatest threats? 7ha of Bulida apricot trees, 104ha of cling peaches, 2ha of Bon Chrétien pears, and 7ha of Early Bon Chrétien pears were planted last year. The industry needs to plant about 80ha of Bulida apricots, 300ha of cling peaches, and 65ha of Bon Chrétien pears each year to replace old orchards and maintain production volumes. Fortunately, most newer varieties produce far higher yields than older varieties. Another obstacle is water scarcity. The drought has reminded us again that water and soil are finite sources. Producers can build dams to save water for when it’s needed, but ultimately they must be more astute in how they use water. This will become progressively important as competition for this resource increases. Production costs are also problematic. In the last year, costs have increased above inflation rates, at between 10% and 12%. The rise in processor production costs are even higher, at above 15%, as processors must import a lot of production material. At farm level, labour and energy are the biggest costs, while sugar accounts for up to 10%, and metal cans for up to 25% of the production costs at processing plants. To lessen this burden, the industry is looking at ways to save packaging costs, such as possibly using thinner tins. What are the main needs in terms of new varieties? We have some of the world’s best canning fruit varieties in South Africa. Nevertheless, I think we can do with earlier- and later-ripening cling peach varieties. We have an average turnaround time of 12 days, and some fruit is in storage for up to 20 days, which has a negative effect on fruit quality. However, our global competitors in South America manage to can their fruit within five days of picking. Is consumers’ growing concern about excessive sugar in products affecting the industry? Yes, this is a problem. I think people are exaggerating the sugar aspect and overlooking the nutritious value of the fruit in the tin. The industry is looking at ways to address this concern, by, for example, using less sugar in the syrup, or using fruit juice as a canning base. What are the industry’s greatest assets? The quality of our produce and labour force are our greatest assets. We are now associated with producing some of the best canning peaches in the world, and people are willing to pay more for this quality. Additionally, the vastness and affordability of our labour force could put us at a great advantage over countries like Australia, the US, and countries in Europe where there are labour shortages and labour is generally more expensive. However, for this to become an advantage, our labourers must receive better training and education. Where is the greatest potential for market growth? Certainly in Africa and South Africa. About 90% of our canning fruit is exported to regions outside of Africa, and growing these markets will help us reduce price risks. Is the industry encouraging farmer development? With current favourable market prices, farmers are in a better position to empower their workers. However, developing new farmers is very difficult, as start-up costs are high and the market highly volatile. How does the industry continue to exist with so much instability? Canning fruit diversifies market risks, with the canning segment of producers’ farms generating 10% to 50% of income. Most producers are therefore also producing other commodities. At the moment, canning fruit is alleviating the impact of low earnings from other commodities. Do you have any advice for growers? Be sensitive to what is happening in the market and understand that supply and demand is the only thing that affects prices. Moreover, supply the market with good quality products that comply with market standards. Globally, there’s a growing concern about food safety and producers need to supply the market with guarantees that their produce is safe to eat. Phone Wiehahn Victor on 021 872 1401.